Siri: For the newest version of the operating system that runs everyone’s favorite phones and tablets, there were many new updates. Siri got a major upgrade, and in addition to doing everything she does now, but better, she also has direct access to Open Table to make reservations for meals, in addition to finding you nearby restaurants. She has direct access to ESPN for up to the minute sports scores. She has direct access to Rotten Tomatoes for movies, allowing you to not only find current movies and by tickets easier, it will also allow you to search for any movie (old or new) by asking about actors, directors, or titles… “Siri, find me a movie with Ryan Gosling in it.” In addition, Siri is able to directly connect with and communicate with both twitter and Facebook so you can make a post or a tweet with just your voice. 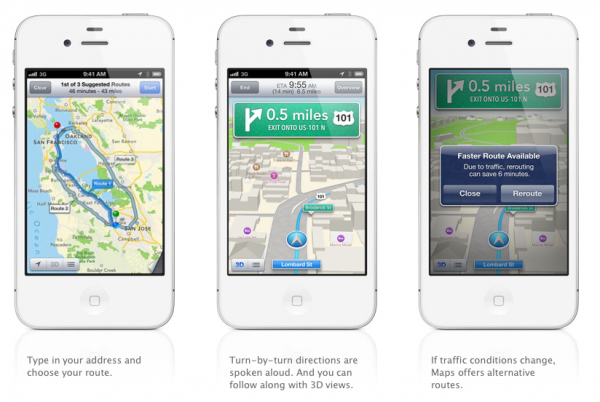 She can also launch apps for you, and in the near future, many cars will be integrated directly with Siri to provide a complete handsfree phone experience. Awesome!!! 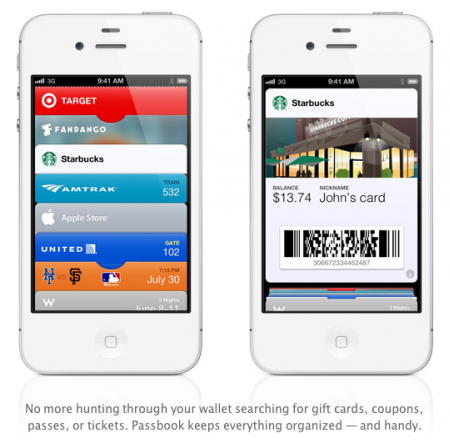 Passbook: Now this is really cool– Apple is taking the next step in utilizing their cache of 400million credit card accounts to give great value to their customers. They have created a brand new app called Passbook that allows you to scan, store and use all your frequent buyer cards, coupons, movie tickets and even plane boarding passes directly from the phone. It is like a true virtual wallet. As if that weren’t enough, using its locator info, the phone will also be able to sense that the user is approaching an airport or frequently patronized store (e.g. Starbucks) and make the appropriate info (your boarding pass or your frequent patron card) at the top! Rather than trying to explain how it’s all going to work, I’m just going to direct you to the Apple page for details, but this is going to be really awesome, and will set the iPhone even farther ahead of the android and other pretend smart-phones. The only piece missing from this is NFC (Near field communications) which would allow you to pay for retail items by swiping your phone rather than your credit card, but I believe that will be included in the next iPhone hardware. Passbook just feels like it’s made for that functionality, so I’m going to trust that it is on the way in the very near future. Other updates to the iOS include FaceTime over cellular network (finally)… so you will be able to video conference with anyone from anywhere, rather than needing to be in a Wifi zone; Siri on the new iPad; an updated Safari ad mail app; the ability to easily share photos (Facebook and Instagram style) directly through your iCloud enabled photo stream; and many more under the hood improvements. 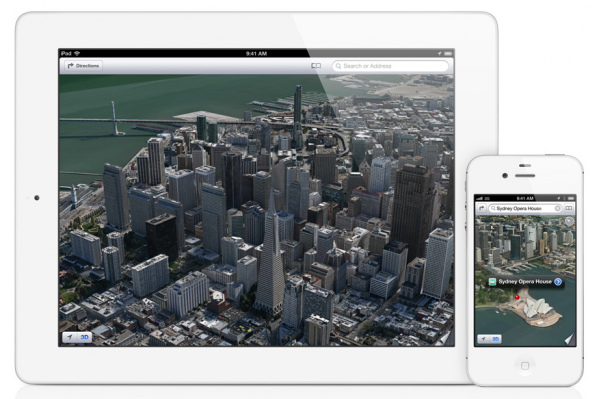 iOS6 will be available for free download this fall, and frankly I can’t wait. The Siri improvements are my personal favorite element since i have become a die-hard Siri addict, and I can’t wait for her to get even more useful. If you haven’t mastered or started to use Siri yet, I’ll be hosting a webinar on how to Unleash Siri’s Superpowers on Tuesday, July 10th @ 11:00AM PST. As always, hit me up with any questions or thoughts.